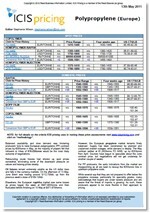 Our Middle East/India coverage in the weekly Solvents report includes spot prices for Isopropanol, Acetone and Ethyl acetate. 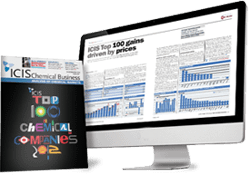 ICIS provides unbiased and reliable market commentary about activity within the different solvents, demand and supply developments, production news and graphs. 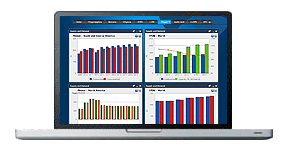 This news and market intelligence gives you the analysis of factors driving the prices that you need to make informed commercial evaluations. Our petrochemical and chemical pricing information is published in individual reports, dependent on the different regions we cover for each market, including Solvents. ICIS has expanded its Asian MIBK pricing coverage to include ex-tank East China prices. We offer the following regional Solvents analysis and news coverage to keep you informed of factors and developments affecting prices in the Solvents marketplace. Over 25 years of reporting on key chemicals markets, including Solvents, has brought global recognition of our methodology as being unbiased, authoritative and rigorous in preserving our editorial integrity. Our global network of reporters in Houston, London, Singapore, Shanghai, Guangzhou, Mumbai, Perth and Moscow ensures unrivalled coverage of established and emerging markets. This report covers IPA and Acetone for India, IPA, Acetone and Ethyl Acetate for the Middle East market. Solvents are liquids which dissolve other substances with water a common example. The selection of a solvent will depend on whether or not something dissolves in it (solvency), its evaporation rate, boiling point, viscosity, surface tension and many other factors. Isopropanol (IPA) is used as a solvent in cosmetics and personal care products, de-icers, paints and resins, pharmaceuticals, food, inks and adhesives. A pharmaceutical grade of IPA is used in products such as medicinal tablets as well as disinfectants, sterilisers and skin creams. IPA is used in de-icers and cleaning products because it stays in liquid form well below the freezing point of water. Acetone is a widely used solvent. Pharmaceuticals is the largest consumer of acetone solvent with significant quantities also being used in glass reinforced plastics, cigarette tow, rubber chemicals and household, cosmetic and personal care products. Ethyl acetate has applications as a solvent in inks for flexographic and rotogravure printing. It is used as an extraction solvent in the production of pharmaceuticals and food, and as a carrier solvent for herbicides.